Friends, You know that WhatsApp is messaging app and where millions of its user share messages each other. And also WhatsApp allows its user to chat, share media, pictures, video, voice notes including Group or individual video audio calling facility. WhatsApp has added some new features recently like group calling, payment, and many more features. One thing You know that you can use WhatsApp on Your Computer or Laptop, let's know how to run it on your computer or laptop. First You open your Google Chrome Web Store and type WhatsApp on “Search the store”, then click enter. Here you find “WhatsChrome Extension” and click on “Add to Chrome”. After that a popup will come out and ask “add extension”, you should click on it for add it with your Chrome Browser. A next page will open with a message that “Thank You, the Add’on Has Been updated Successfully! Enjoy Your Time”. An icon is created right side top of the Chrome Bar. Then you click on this icon. Click on this Icon and a new window will be open stated that “Welcome to WhatsChrome!”, then click on “open What chrome”. 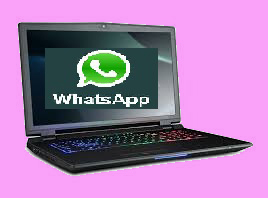 After few minute processing, another page is open stating some tips to how to use WhatsApp on your Computer. Here you open your WhatsApp on your phone and tap on “Menu” or “setting” then select “WhatsApp Web”. Point your Android Phone to Desktop or Laptop Screen to scan or capture QR Code, it will connect automatically to your WhatsApp on your Desktop or Laptop Screen. One thing notes that you're both of device should connect to internet frequently. Finally by follow these steps you can Run WhatsApp on Your Computer or Laptop. Friends, if you like this post then you do not forget to share it with your friends.